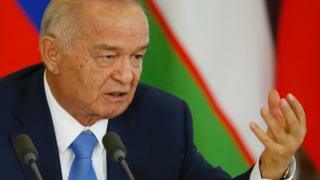 With the passing of Islam Karimov, who has died aged 78 after suffering a stroke, Uzbekistan has lost its first and so far only president. His rule saw the country emerge from the collapsing Soviet Union to become an independent nation. But his more than two decades in power have been marred by lurid allegations of state violence, elections derided as a sham and a public spat that led to the fall from grace of his own daughter. Karimov was born in 1938 in Samarkand, one of Central Asia's oldest inhabited cities and a key stopping point along the Silk Road. He was raised in an orphanage before studying engineering and economics at university. The years that followed saw him rise up the ranks in Uzbekistan's Communist Party, becoming first secretary in 1989 at a time when the Soviet Union was becoming increasingly fragile. In 1991, Karimov declared Uzbekistan independent and went on to win the country's first presidential election by a huge margin, in what Human Rights Watch termed a "seriously marred" vote. That pattern has repeated itself throughout his presidency. In last year's election, he was re-elected with 90% in a vote observers said fell far short of international standards. His rivals themselves offered implicit backing for Karimov during the vote, praising the country's "achievements" since independence. Karimov's near-monopoly on power was enabled by stifling dissent. Opposition politicians and human rights campaigners have been jailed or thrown out of the country. Independent press outlets have been described as "virtually nonexistent". Last year, Amnesty said that it was an "open secret that anyone who falls out of favour with the authorities can be detained and tortured in Uzbekistan". According to another notorious allegation, denied by the authorities, two prisoners were boiled to death in 2002. Activists and witnesses say state forces killed hundreds of demonstrators in the eastern city of Andijan in 2005, an incident the government blamed on Islamist extremism. Critics accuse Karimov's government of over-exaggerating the Islamist threat to attract foreign aid and crack down on opposition. Thousands of ordinary Muslims are believed to have been jailed. While Karimov's human rights' record has been criticised by international governments, Uzbekistan remains a useful ally, with the US using the country as a base during the Afghan war. Uzbekistan also controls substantial reserves of oil, gas and gold, and is a major producer of cotton. Karimov's death raises questions about the stability of a country for so long dominated by one man and who will succeed him. Power struggles have been going on for years, though, as rivals jockeyed for position to replace the ageing leader. Karimov's daughter Gulnara was once regarded as a possible successor, but she was reportedly placed under house arrest in 2014 and has not appeared in public since. His other daughter Lola, Uzbekistan's ambassador to Unesco, officially confirmed her father suffered a stroke on her Instagram page, after a government statement saying only that he was in hospital. That the Uzbek authorities acknowledged Karimov's illness at all, after persistent rumours about poor health, was a sign his condition was grave. Among the current contenders to replace him are Prime Minister Shavkat Mirziyoyev and Deputy Prime Minister Rustam Azimov.